Knowing when you need a roof repair can be tricky, especially if there are no indicators of damage. Often, leaks are not detected until well after they have caused costly damage to your property or products. However, even with leaks that may not be visible at a cursory glance, there are steps that can be taken to identify, isolate and trace them back to their source. At Wharry Engineering, we pride ourselves on taking a methodical approach to locating leaks and, more importantly, an aggressive – and effective – approach to roof maintenance and repair. First, we understand that not all leaks are obvious. Obscured, hidden leaks are often the most damaging, as they can grow – in both size and effect – until they reach the point of no return. The result of not addressing an unnoticed leak can be catastrophic: a complete failure of your roofing system, damage to the products that you manufacture and, worst of all, injuries to your staff. To locate these hidden leaks, a slow, careful and concerted effort must be made to track the source of the water that is entering your building through them. Ceiling tiles must be removed, ductwork must be inspected and much, much more in order to perform a thorough examination. Next, once the leak is located, a plan must be formed. 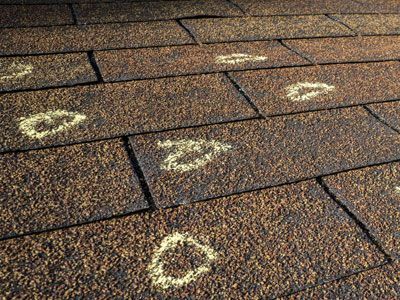 Long-term roof maintenance typically involves regular inspections to prevent future leaks and identify likely points of failure. Once we’ve inspected your roof, we’ll present you with a plan that won’t just keep your roof in prime condition, it will give you the peace of mind that you need to run your operation effectively. At Wharry Engineering, we provide the area’s best roof engineering, assessment and management services. With a thorough understanding of all major roofing systems – and an experienced team of professional architects and engineers – we are able to assist with major leaks and roof failures. If you suspect that your roof may be in danger, we encourage you to save yourself a considerable amount of time – and money – by contacting us today to schedule an inspection!